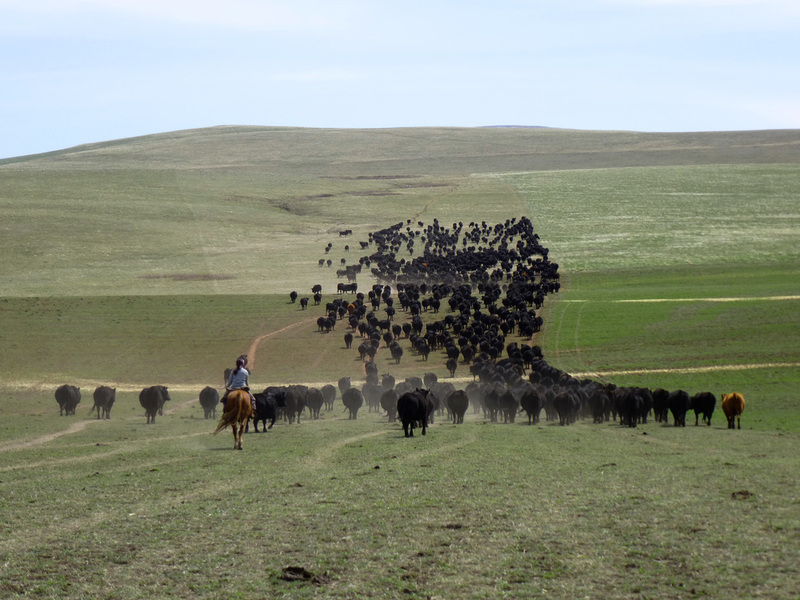 We run Angus and Angus composite cattle, calving in June and holding calves over the following winter to sell as yearlings. Run in a mountainous environment, we select for a highly fertile, easy fleshing cow to fit our environment. During winter, we graze our cows and feed our calves modestly, allowing spring and summer to put compensatory gain on calves.